I do not have a problem with the yarn itself. It is very soft and the colors are beautiful...for the most part. I received the yarn a few weeks ago and was dissappointed with the white yarn. It is not truly white. 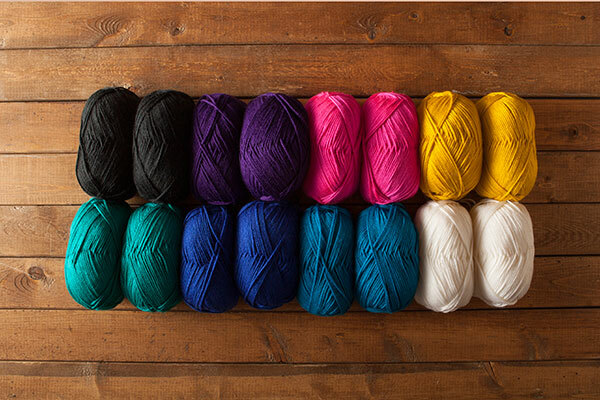 In the description of the yarn, it calls it a "snowy" white. It is not. It has a hint of...ivory? I made a hat with the "white' and pink, and it is adorable...but I need a true white for another hat and this wont cut it. I will definitely use it, just wish it was a real white. The picture used on the Mighty Stitch yarn description shows a ball of real white...this is not it.